High profile, strategic parcel of development land. 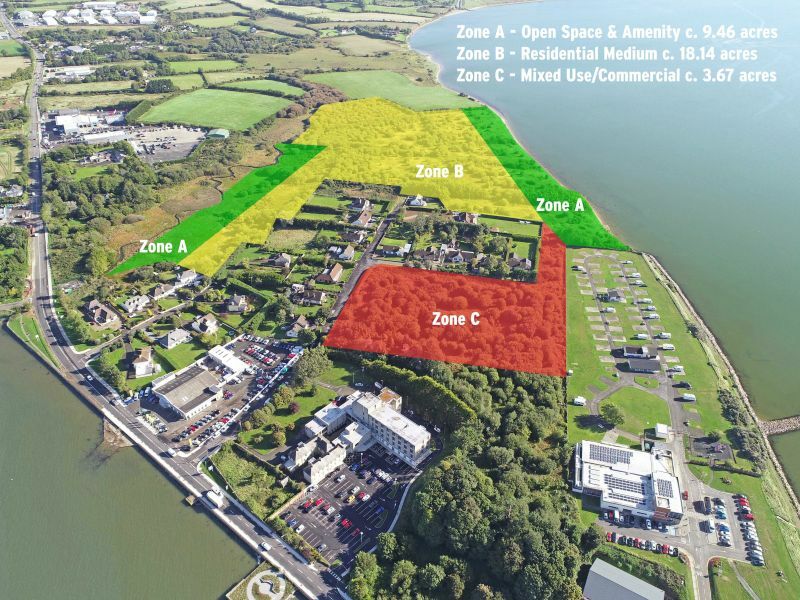 Pivotal location in Wexford Town, close to all amenities. Adjacent to Wexford’s Swimming Pool, Riverbank Hotel and Ely Hospital. 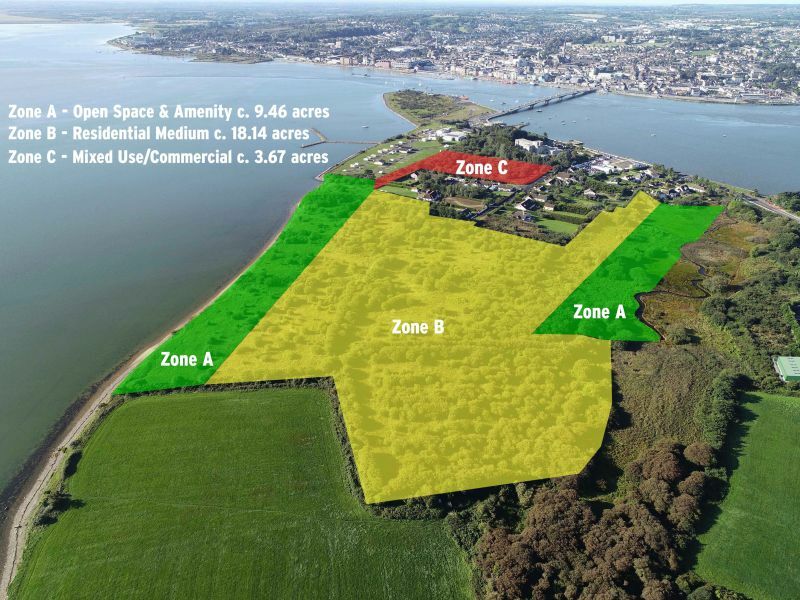 Location: This exceptional parcel of development land enjoys a strategic position at Ferrybank in Wexford Town. 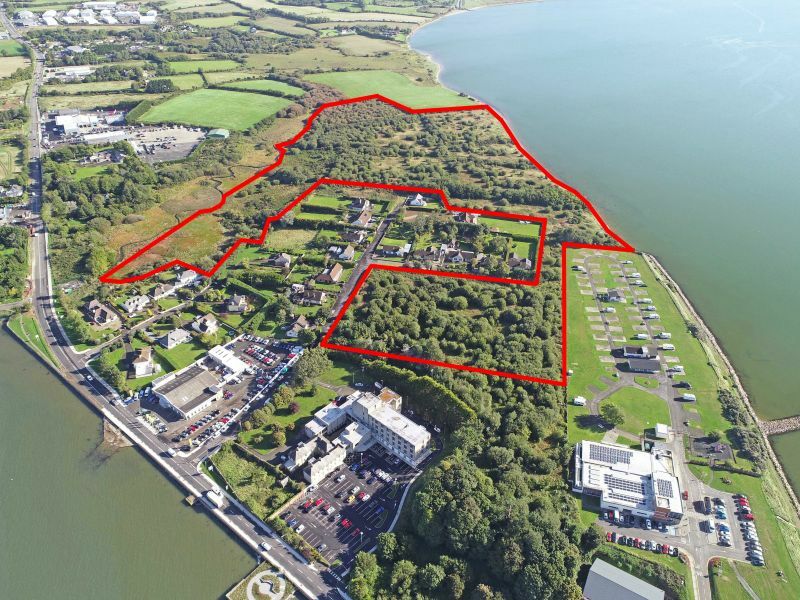 Without doubt it is one of the finest parcels of development land to come to the market in recent years. It is directly fronting the coastline, only a few minutes’ walk from Wexford Bridge. There is good access onto the R741 regional road which takes traffic from Gorey/N11 and general coastal area to and from Wexford Town. General: The subject sale represents an opportunity for builders, developers or investors. This is ‘landmark’ coastal site with spectacular sea views and easy access to all town amenities. Wexford is the county town with an urban population in the region of 20,000 (Sources: CSO Census 2016). The population of County Wexford is 149,605. Wexford is attractively positioned to support further growth. 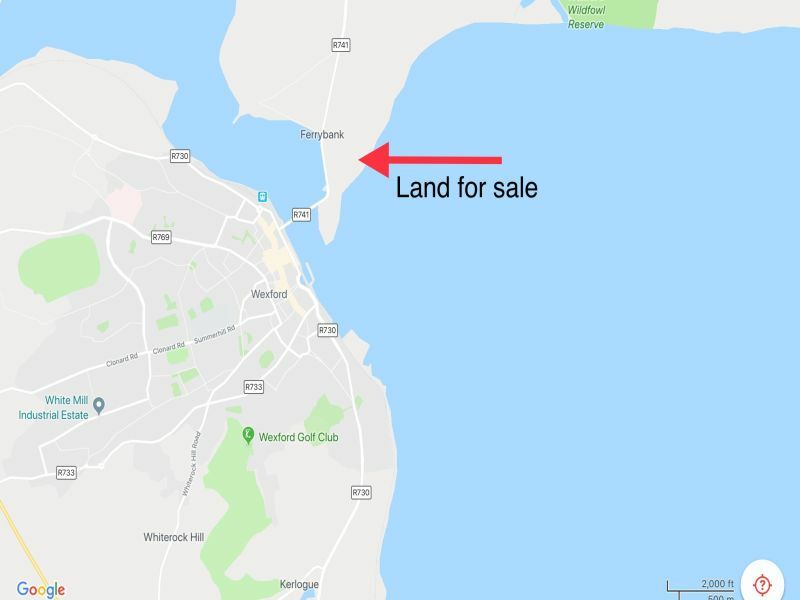 The new extension on the M11 Motorway will bring this area of County Wexford within 1 hour and 30 minutes’ drive south of Dublin.